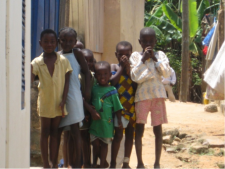 Come help the people of Yamoransa, Ghana this summer with the Yale Alumni Service Corps! Have you ever thought about traveling abroad with a goal to give back? Not just to sight see, but to serve others, to make a difference in someone’s life? Do you sing? Come help teach children to sing. Do you like to draw or paint? Come help teach the children to be creative. Are you a doctor? Come help in the medical clinic. Do you like computers? Come help the community learn about the internet. Do you play baseball or basketball? Come help run the sports clinics. Do you have experience in business and marketing? Come help the kenkey women become more productive. Do you like to build? Come help construct a community center. Do you have a knowledge or skill to share with the people of Yamoransa? Yes, whatever your skills and experience, there is a way for you to have impact and make a personal contribution to the community by teaching, by building, by sharing our culture with them. This summer, join the Yale Alumni Service Corps’ first program in Africa. In July 2012, Yale alumni, family and friends have an extraordinary opportunity to work in the community of Yamoransa to create social change and see the beautiful sites of this coastal country. AYA - and you as part of the group have the opportunity to work with AFS-Ghana, ONE and the University of Cape Coast in an exciting program - working with school children and adults to provide basic services to them, broaden their horizons, share our culture, and open doors to a different way of life. We will sponsor a variety of education, medical, construction and business consulting projects. From July 27 through August 6 (then back to Accra) you, our volunteers, will be stationed in the town of Cape Coast where the University of Cape Coast has been working to help the local communities including Yamoransa to address the critical issues of poverty, health and education. Yamoransa is a community of approximately 4,700 people situated on the main road that runs between Accra and Cape Coast. There are three schools and many children in the community. The main business of the community is the production of fante kenke, a typically Ghanaian food made of corn, primarily prepared by the women. 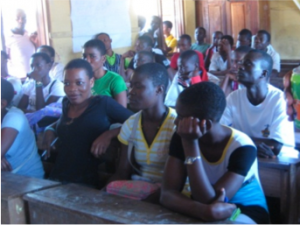 For a variety of reasons and particularly because the women are the producers of fante kenke, there is a high drop-out rate of girls from the schools. In the early grades school there are slightly more girls than boys yet the drop-out rate for girls is so high that by 10th grade, 70% of the students are boys. There are no medical facilities in the community. 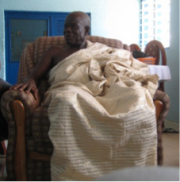 The Chief of Yamoransa in cooperation with the University has identified a number of projects that would provide meaningful assistance to the community. We are prepared to help them in many ways from medical services to education to micro-business consulting to needs assessment. Education and Athletics: We will teach a one week summer school program to help address the need for more and better education in the community as well as to model the importance of staying in school. We will have athletics and other special programs in the afternoon. We will teach whatever it is that you the volunteers want to teach - we will take advantage of your talents and your enthusiasm to share with others. Medical: There is a specific and immediate need for medical care in Yamoransa as there is no formal medical facility in the community. We will be able to set-up a clinic to see patients for the week as we are in the community to provide eye care, general exams, and whatever other types of expertise that our medical team can bring to the program. We will also have the opportunity to provide medical education in the community. Construction: The Chief in Yamoransa has already identified a number of repair and construction projects including refurbishing a building as a library that would be a significant contribution to the community. We will decide on the specific project (or projects) in January. Micro-business: Yamoransa has a significant population of local entrepreneurs, particularly women, selling kenke, a local food, and other products. They need assistance in understanding the basic components of business - are they making money? How could they increase their productivity? How can they expand their business? Our team will offer any and all assistance possible in these concepts given the skills of you, our volunteers. 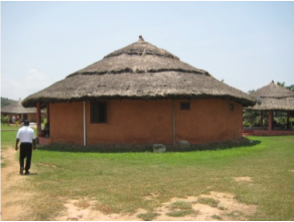 In the evenings we will sponsor lectures and programs designed to immerse you in the culture of Ghana. With the cooperation of representatives from ONE, we will have a rich program for learning about a broad range of initiatives in Africa and how we can continue to help the community even when we are back home. We will have the opportunity to learn some of the history of the area as we visit the Slave Castle as well as appreciate the natural beauty of the Rain Forest with a visit our last day in Cape Coast. 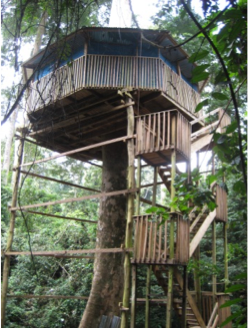 For the nature lovers, there will be a chance to stay overnight in the Rain Forest at the tree house - a truly unique experience and the best chance of seeing the wildlife of the region. Although it will be very hot while we are in Ghana, we will be staying at Coconut Grove, an ocean side resort on the outskirts of town. It is a comfortable facility with an American style restaurant, cottages, pool, exercise facilities, business amenities, and air conditioning. 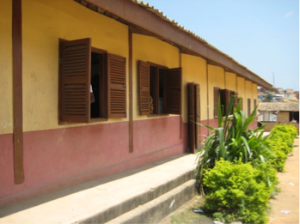 Note that in Yamoransa, there is no air conditioning since all the facilities including the schools are Spartan at best and entirely exposed to the elements. This trip is designed for all alumni of all ages, including family and friends. On previous trips our alumni have ranged in age from 19 to 85, and have included alumni from Yale College and nearly all of the graduate and professional schools. This is a family friendly project where children (age 10 and up) can work side by side with their parents and, if they choose, work on their own with the Ghanaian school children in organized and supervised projects and sports. Specialized skills are not required for participation in the Service Program. Each project will involve a leadership team of volunteers with specialized knowledge in the project area, as well as volunteers from AFS-Ghana, our program organizer. Project assignments will be based on a combination of volunteer interest, community needs, available space, and program logistics. There is not a better gift you can give your children than working side by side serving others. They will learn on so many levels - and so will you. Please come along, meet new friends and change some lives including your own!! Join us to work for a better world! customized collaborative service projects in Yamoransa; accommodations; most meals; local transportation throughout the program; most tools and materials needed for service projects; bottled water at work sites; full itinerary of cultural highlights and opportunities for community interaction. Cost also includes excursions in Cape Coast. The Yale Alumni Service Corps is able to provide partial scholarships depending on availability of scholarship funds. These funds are donated by other travelers inspired by the program. Please refer to the program for details about applying for scholarship. Scholarship applicants are strongly encouraged to apply early by submitting the application at http://www.yalegale.org/ghana/YASCGhanaScholarshipApp2012.doc deadline for submittal is March 1! Awards will be based on financial need, skills and knowledge needed for service projects, and previous volunteer experience. We cannot accept any other form of requests for funding at this time. You will be notified about any scholarship funding that you have been granted by March 31. Families are of course welcome and encouraged but we have an age restriction of 10 years old and above for this program. 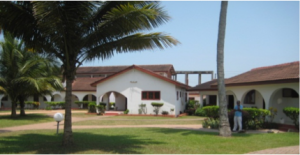 Sunday, April 29, 2012 - You are invited to join the other Yale Alumni Service Corps participants at Rose Alumni House, 232 York Street, New Haven 9:00 a.m. - 5:00 p.m. for an orientation session where you will learn about Yamoransa and Ghana, our program partners including AFS, University of Cape Coast, ONE, Unite for Sight, our projects and the plans for our program in the summer (It is highly recommended that you attend this but it is not a requirement for participation in the program). If you can, arrive the night before and join the Yale Global Alumni Leadership Exchange for dinner after their training session on April 28.